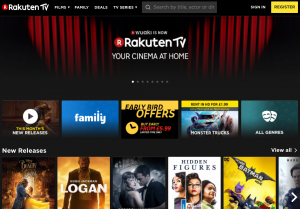 Rakuten’s Best-of-Asia SVOD Viki has named Sam Wu as its CEO. The platform has promoted Wu, who was previously SVP of finance, who will take over from interim CEO Masaya Ueno. Ueno will take on a new role leading Rakuten’s Global Media Business group. Viki is primarily an AVOD service, but provides a premium option for $49.99/year in the US. The platform offers around 2,000 shows in the US, including Korean, Japanese, Taiwanese and Chinese content. Available in around 200 territories, content is translated into 200+ languages by Viki’s community of fans. Wu joined Viki in 2012, and played a key role in leading the acquisition of then the business by Rakuten in 2013. He has since overseen all aspects of finance, legal, business operations, and sales functions. Wu said: “I am excited for the opportunity to lead Rakuten Viki, with a renewed focus on delivering innovative product features, an unmatched user experience and a diverse programming line-up to our growing, global community.